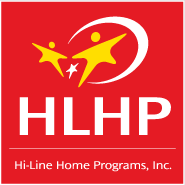 We offer many resources online so you can obtain information from the comfort of your home. Of course, it’s sometimes still necessary to come see us in person and we appreciate your visit. Stop by our locations listed below during regular office hours. Our Glasgow office is opened Monday thru Friday from 8 AM to 5 PM. Closed Holidays and weekends. Our satellite offices have staff who work varying schedules conducting home visits. Those offices may be closed, so please call ahead to schedule an appointment.